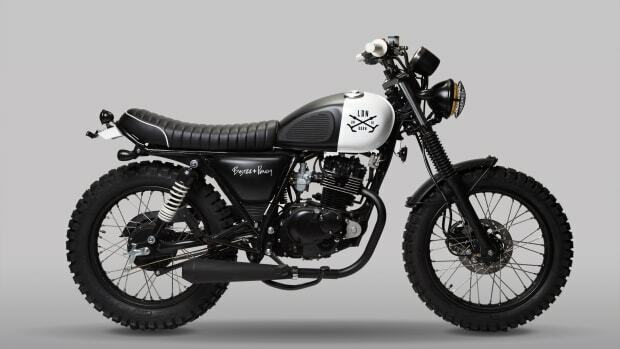 Two of our favorite heritage brands, Swiss watchmaker Breitling and British motorcycle builder Norton, have announced a killer new limited edition watch and motorcycle collaboration that's all kinds of cool. The Breitling Premier B01 Chronograph 42 Norton Edition watch and the Norton Commando 961 Café Racer MKII Breitling Limited Edition motorcycle are a powerfully stylish pairing that celebrates both marques' well-deserved reputations for design excellence. 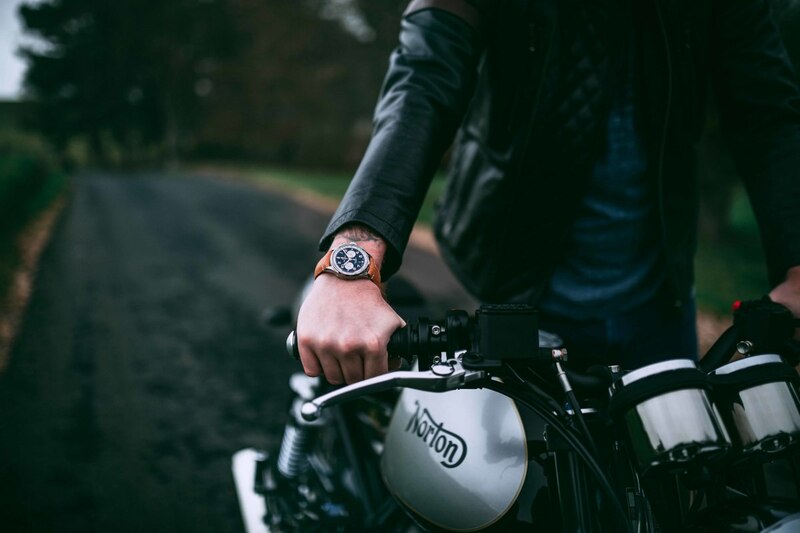 Both the watch and bike are designed to incorporate the DNA of the two brands, both of which were founded in the late 1800s. 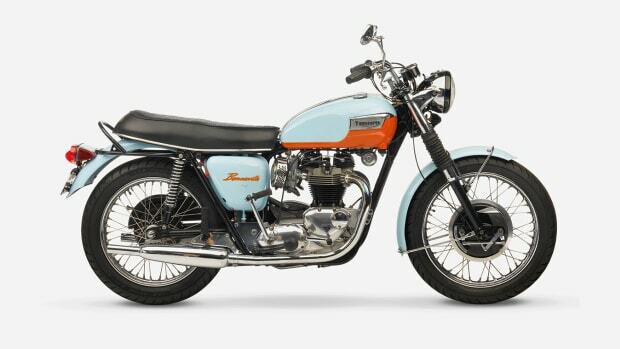 And both brands have also been featured in the James Bond films; 007 wore a Breitling Top Time in 1965’s Thunderball while a Norton Dominator SS had a supporting role in Spectre (2015). The watch is part of Breitling’s elegant Premier collection, while the motorbike is a semi-custom job limited to just 77 examples. 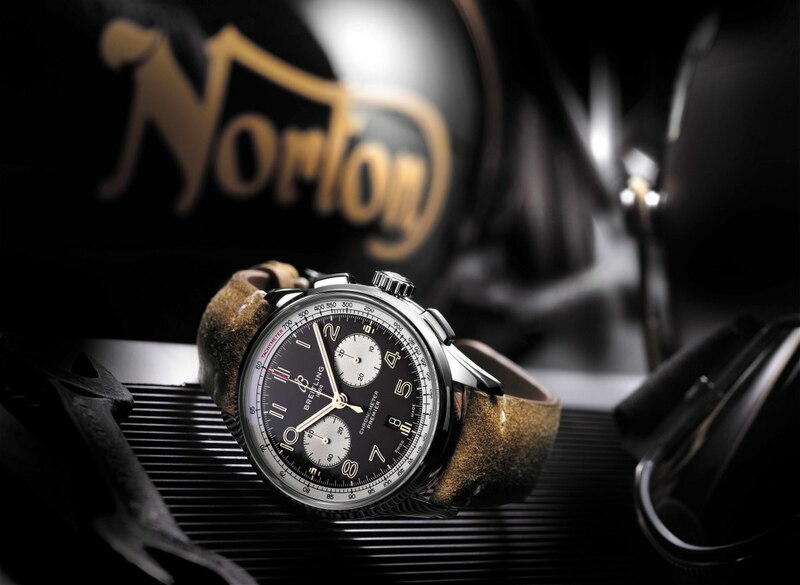 The Breitling Premier B01 Chronograph 42 Norton Edition features a 42mm stainless steel case, water-resistant to 100 meters, with the Norton logo engraved on a plate on the left side of the case, while the transparent caseback features a printed Norton motorcycle and logo. The watch's black dial with golden numerals and white subdials is pleasingly retro and nicely offset by the vintage raw-leather strap; it's also available with a steel bracelet. 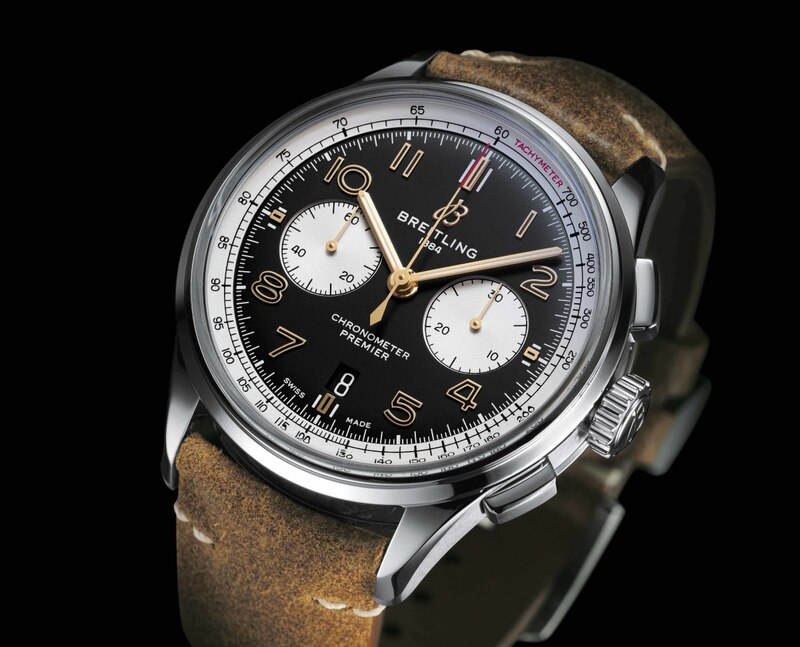 The chrono is powered by the Breitling Manufacture Caliber 01 with a 70-hours power reserve. 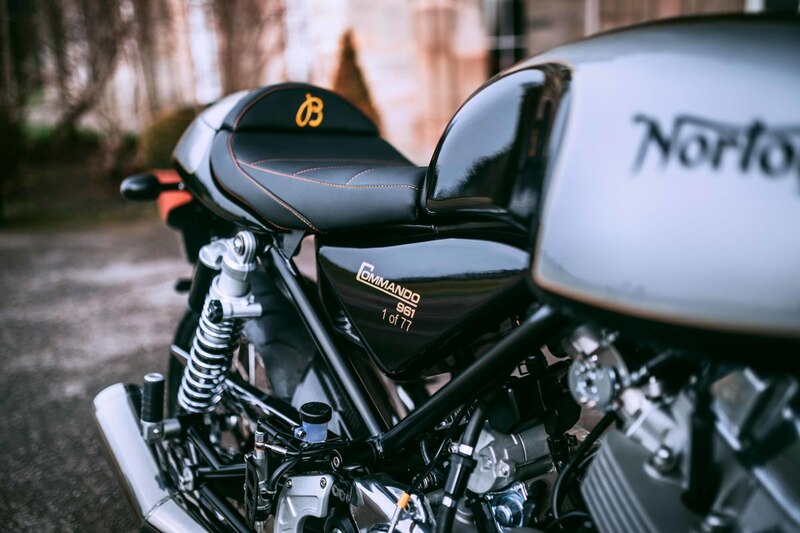 The Norton Commando 961 Café Racer MKII Breitling Limited Edition is in the legendary style of Norton's classic British bikes – Steve McQueen rode a Norton Commando during the filming of 1971's Le Mans – but with state-of-the-art components and engineering. 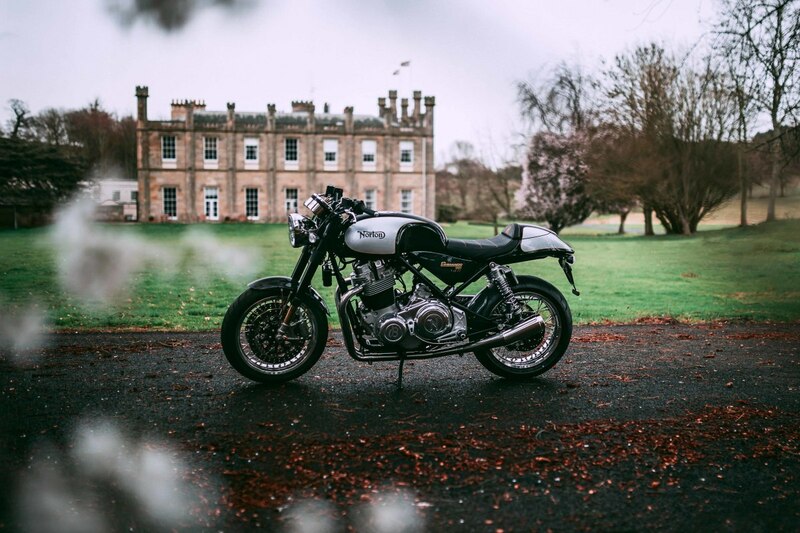 Its 961 cc engine was developed in-house by Norton, and only 77 of the bikes will be built. 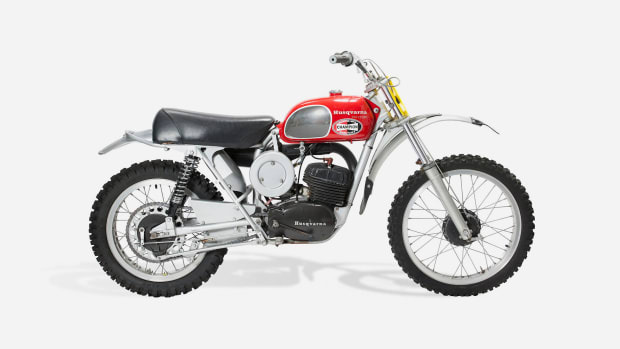 The magnificent moto is distinguished by a vintage Breitling “B” engraved on the clutch box, a Breitling-designed speedometer and tachometer dials, and a black-on-black vintage “B” stitched into the saddle.